Punctuated biological and social evolution? What is the future for humans and the environment? Will average global temperature continue to rise? Have we passed the tipping point? There are now more body mass of humans and domestic vertebrates than all wild vertebrate animals on earth! In a few years there will be more plastic than fish in oceans and most coral reefs could be gone! Is it “natural” that a handful of billionaires own more wealth than the bottom half of humanity (i.e. more than 3.6 billion people)? What hope is left a sustainable earth ecosystem? What does it take to actually change things? Please share you views after you read these and other questions below. Will the newly elected President of Brazil help dismantle the last “lung of our earth” (the Amazon rain forest)? With rampant capitalism and human drive for survival, has the world increasingly become dog-eat-dog world? The technology does prevent massive starvation that used to kill 20-40% of people in any one region over a short period of time (as used to happen in in the Middle Ages in Europe). And what of technology that is now so advanced that even a student at the level of my master students in Biotechnology can engineer a human, a deadly disease that can kill millions, or a cure for a certain cancer? Rapidly improving healthcare and biotechnology allows us to quickly deal with epidemic viruses and bacteria before they start. But is this compensated for by environmental maladies leading to skyrocketing suicide rates, depression, learning deficits, congenital birth defects and cancers? I am over 60 years old and have spent all my life learning, helping others to learn (I do not say teaching), writing, doing charity etc. I have met over 100,000 people and my views and activism reached hundreds of thousands more via writings, media appearances, public lectures etc. Yet I still feel like I know so little about how the world works now let alone how it should work. I do strongly believe in cooperative revolutionary thinking so I offer here a short list of the above questions and others below to prompt a collective brainstorming. They are guided by the notion of superior smart humans who “deserve” to be in charge of human development. They still suffer from notions of “orientalism” (see Edward Said’s book by that name): identifying with the dominant European history they fail to connect to times when civilization came from places like Ancient Mesopotamia, Persia, China, and Egypt. Elitist authors offer no recipes for sustainable environment/ecosystems other than orientalist views. Should we not listen to the native people and take nature into account? While believing in social Darwinism, they forget that biological Darwinism had a transformation with the modern synthesis and beyond. For example we understand now things like jumping evolutionary change which can create novel complex structures with minimal genetic changes (this is called punctuated equilibrium or macroevolution). This results genetically from creation of new pathway using existing genes. In social evolution we also see punctuated equilibrium as change can be slow for a long time and then something revolutionary happens. See for example (Guastello 2013. Chaos, catastrophe, and human affairs: Applications of nonlinear dynamics to work, organizations, and social evolution. Psychology Press; Somit, A. and Peterson, S.A. eds., 1992. The dynamics of evolution: the punctuated equilibrium debate in the natural and social sciences. Ithaca, NY: Cornell University Press. ; Gould, S.J., 2002. The structure of evolutionary theory. 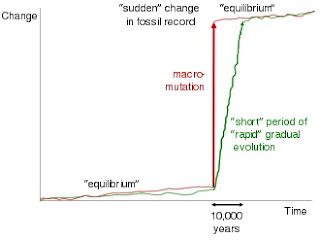 Harvard University Press).Are ideas like Marxism, Darwinism, Relativity, Internet, and amplifying DNA by PCR causes of punctuated social evolution in the same way as genetic “macro” mutations causes of punctuated biological evolution? Professor Mazin Qumsiyeh teaches and does research at Bethlehem University (BU) and directs the BU's cytogenetics laboratory and the Palestine Museum of Natural History and Institute of Biodiversity and Sustainability in occupied Palestine. He also taught at Birzeit and Al-Quds Universities. He is author of "Sharing the Land of Canaan: Human rights and the Israeli/Palestinian Struggle", “Popular Resistance in Palestine: A history of Hope and Empowerment”, "Mammals of the Holy Land", and "The Bats of Egypt." He formerly served on the board of the Palestinian Center for Rapprochement Between People in Beit Sahour and Al-Rowwad Cultural and Theatre Society at Aida Refugee Camp.